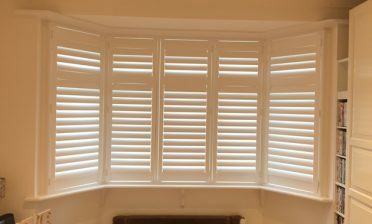 Shaun was at a property in West Malling, Kent to fit some new shutters for a customer’s bedroom. 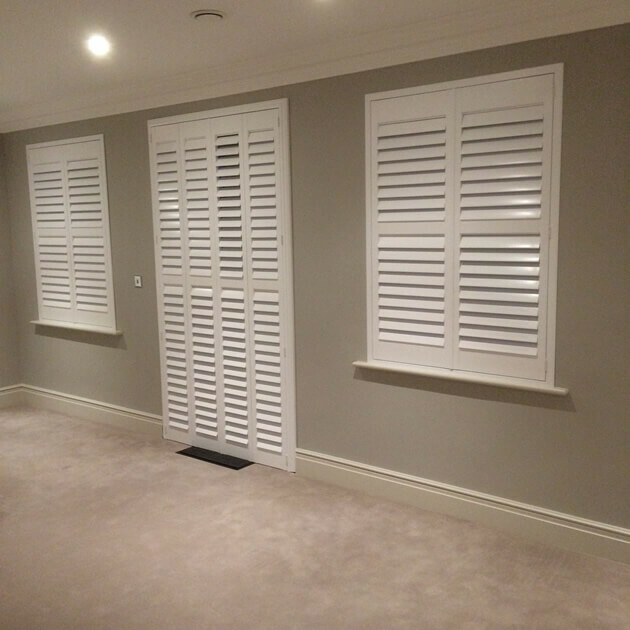 The bedroom had recently been renovated and the homeowner was looking to finish the look with some of our bespoke shutters! 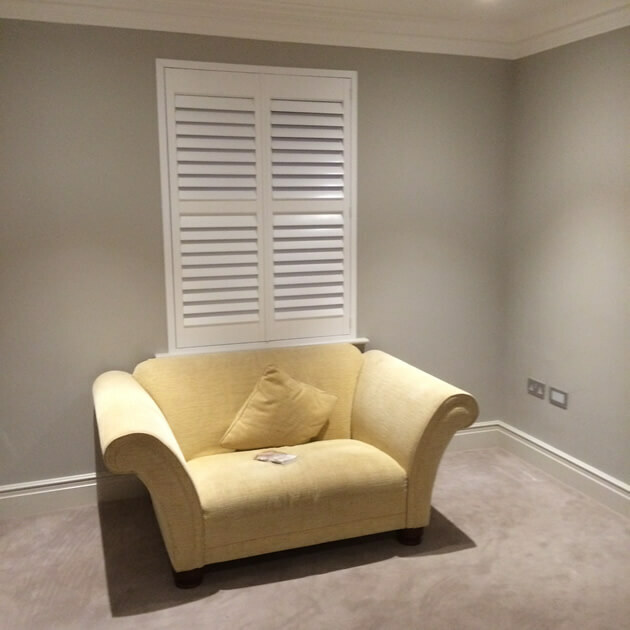 The shutters were required for the windows of the room and also a door opening. We used wood from our Cuba Range of Shutters which is a linear grained hardwood making it perfect for painting and creating in different sizes. 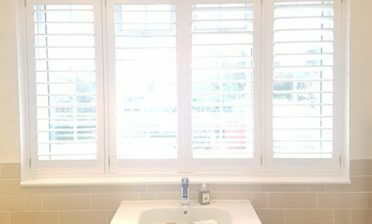 This shutter material is of a very professional standard which is rigid and long lasting. 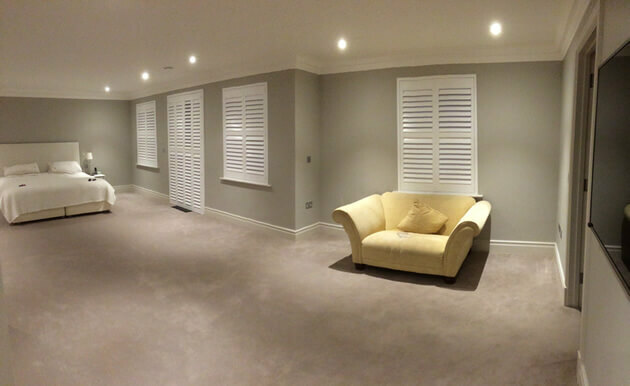 We used 89mm louvres on all shutters in a full height style with mid rail. The door shutters feature four narrower panels which allow the panels to fold back for access, with the window shutters featuring two wider panels. Using a mid rail on all shutters allows the top and bottom sections to be opened and closed independently. 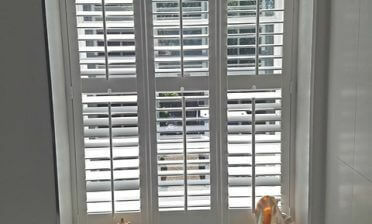 The shutter louvres are operated via touch using a hidden tilt rod system. Finished in pure white with matching hinges these shutters suit the new contemporary interior perfectly and really help to finish off the room perfectly!